Coconut layers, lime curd filling, coconut buttercream, and covered in fluffy coconut. 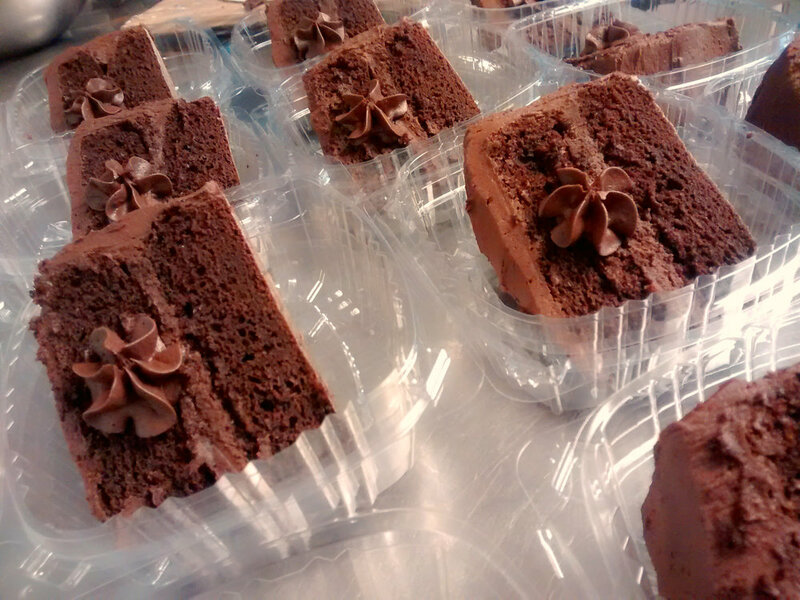 Dark chocolate layers with rich chocolate buttercream. 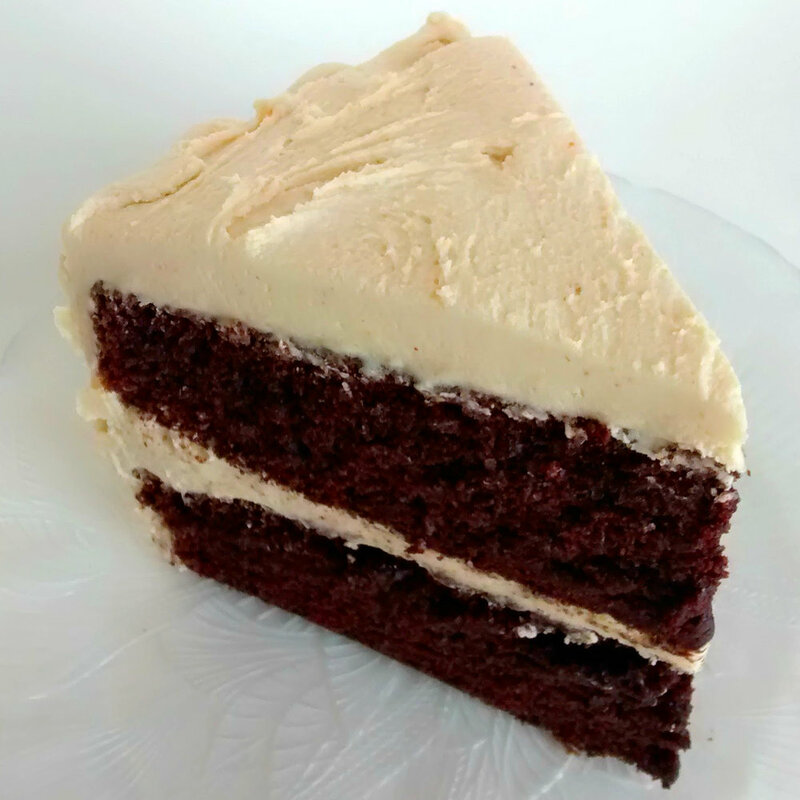 Dark chocolate layers and peanut butter buttercream - a staff favorite! 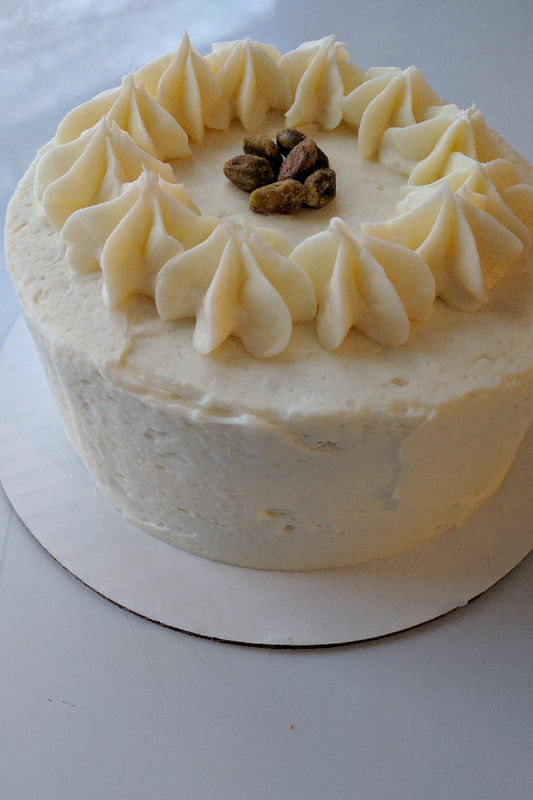 Carrot cake layers, cream cheese frosting, and garnished with chopped walnuts. Coconut layers, coconut buttercream, and flaked coconut. Gingerbread layers with salted whiskey caramel frosting and a caramel drizzle. Apple cake layers, apple crisp filling, and maple brown sugar buttercream. Pistachio layers with honey cream cheese frosting. 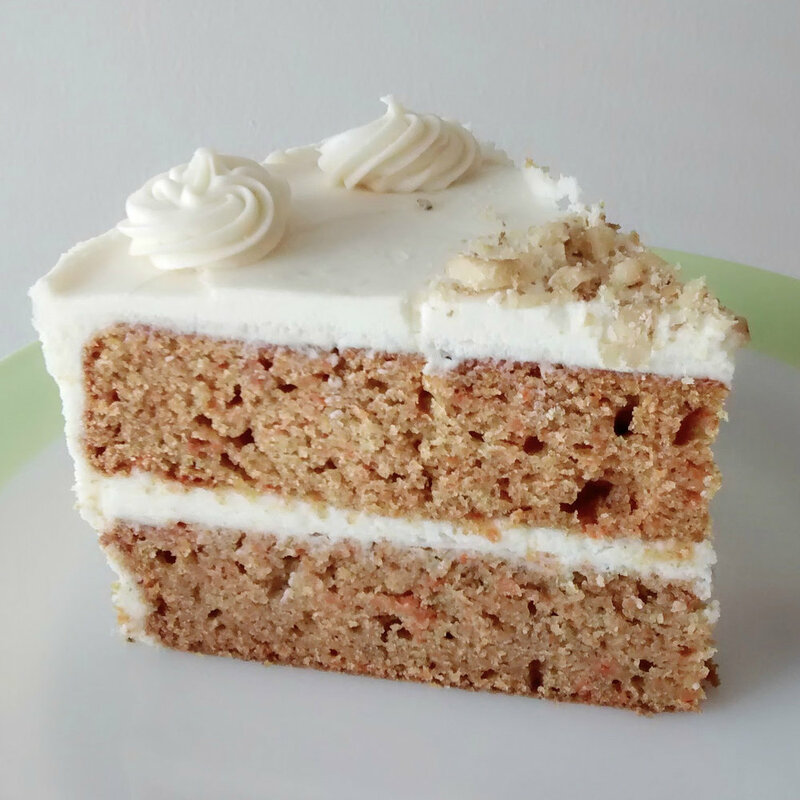 Earl Grey infused layers with honey frosting. White layers, cherry compote filling, and almond buttercream. White layers, strawberry filling, and cream cheese frosting. Strawberry layers and vanilla frosting. White layers, buttery brown sugar filling, and maple brown sugar buttercream. Molasses ginger layers, our Molasses Ginger Cookies crumbled between the layers, and cinnamon cream cheese frosting. White layers swirled with strawberry rhubarb compote, strawberry rhubarb filling, and vanilla frosting. Contact us to order. Choose one of the cakes above, or design your own from the options below. Want something not listed? Let us know and we'll see if we can make it! Standard decoration is included. Check out our portfolio for examples of specialty decoration. Starting prices listed below, price may increase depending on flavors/fillings and intricacy of decoration. 6" round, two layers $22, serves 6-10. Add $8 per additional layer. 9" round, two layers $32, serves 12-16. Add $10 per additional layer. 1/3 sheet, single layer, $35, serves 20-25. Two layers, $55. 1/2 sheet, single layer, $45, serves 35-50. Two layers, $65. Tiered cakes start at $2 per serving, please contact us for more information.